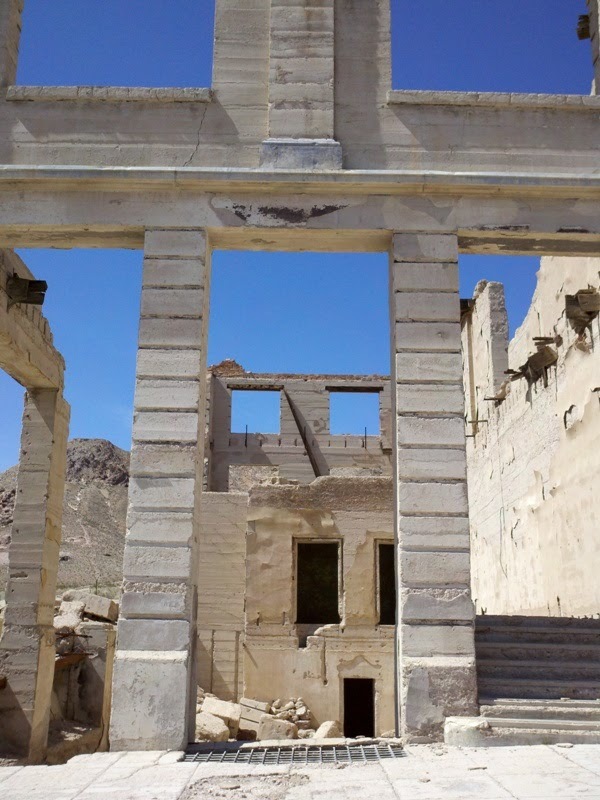 The Hell's Gate Hundred is an epic ride through Death Valley National Park. 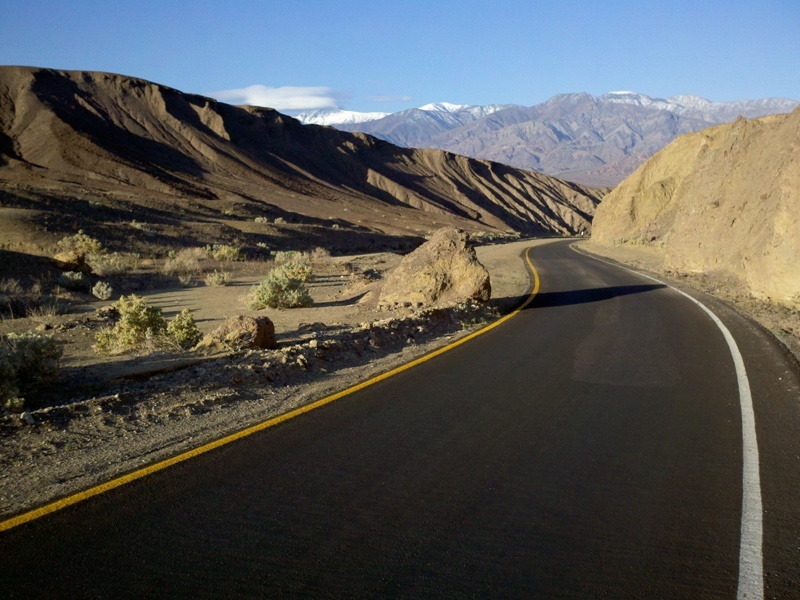 Like the Death Valley Spring Double Century and Death Valley Fall Double Century, it starts at the Furnace Creek Ranch, which is located below sea level. 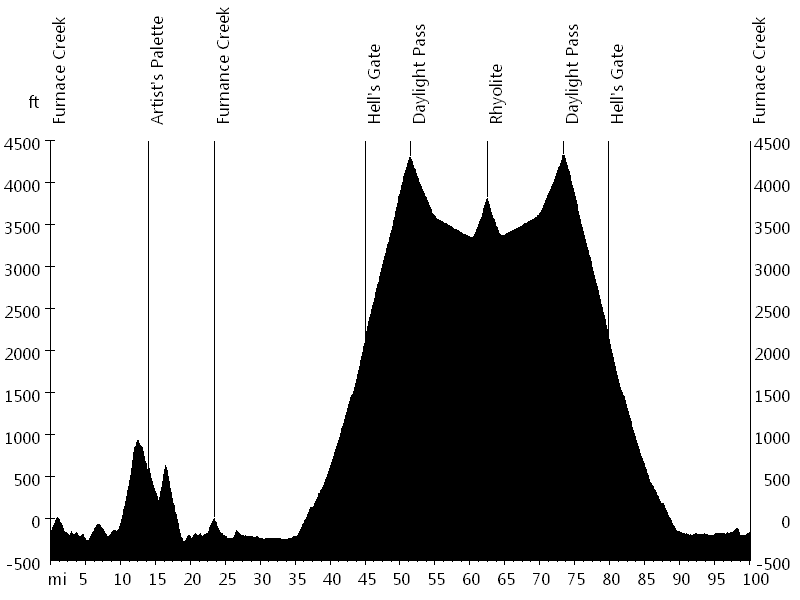 The course initially leads south on Badwater Road and then turns onto Artist's Drive, a one-way road through the foothills of the Amargosa Range. 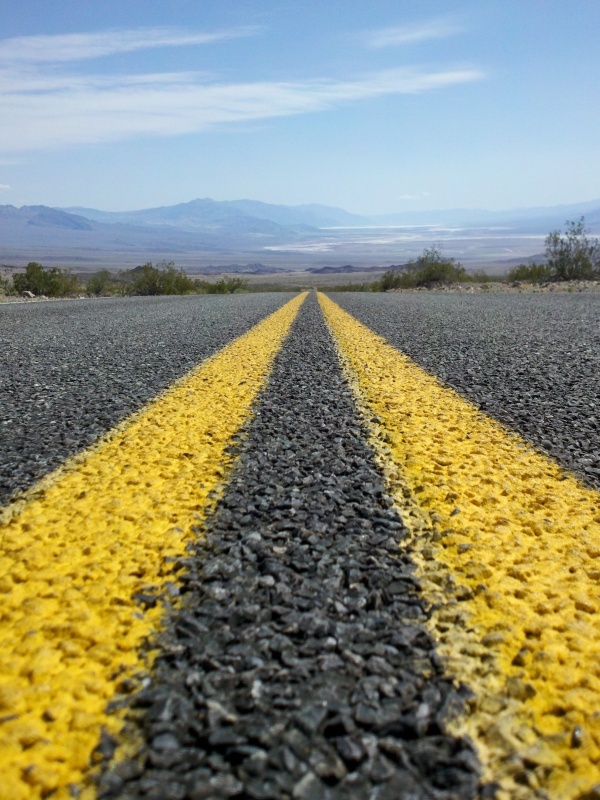 Artist's Drive passes Artist's Palette and loops back to Badwater Road. 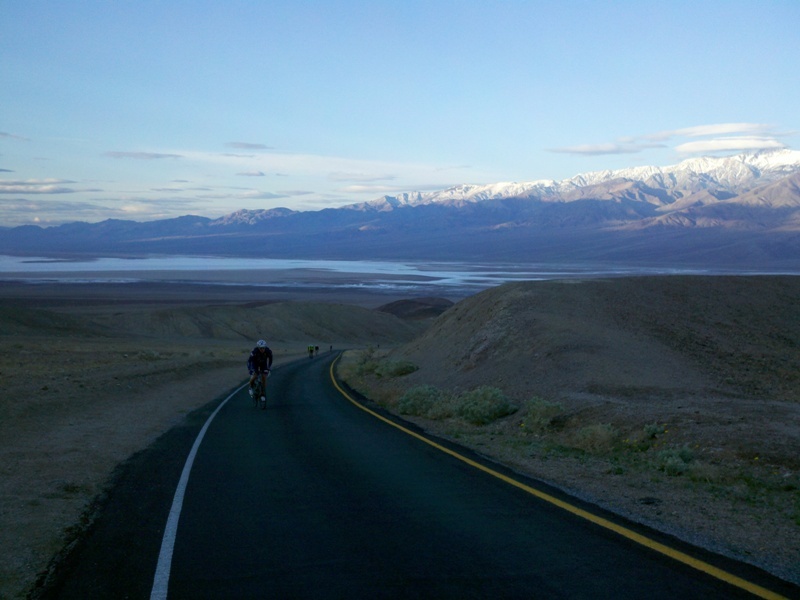 The ride then leads north on Badwater Road and Highway 190, and eventually turns onto Beatty Road. 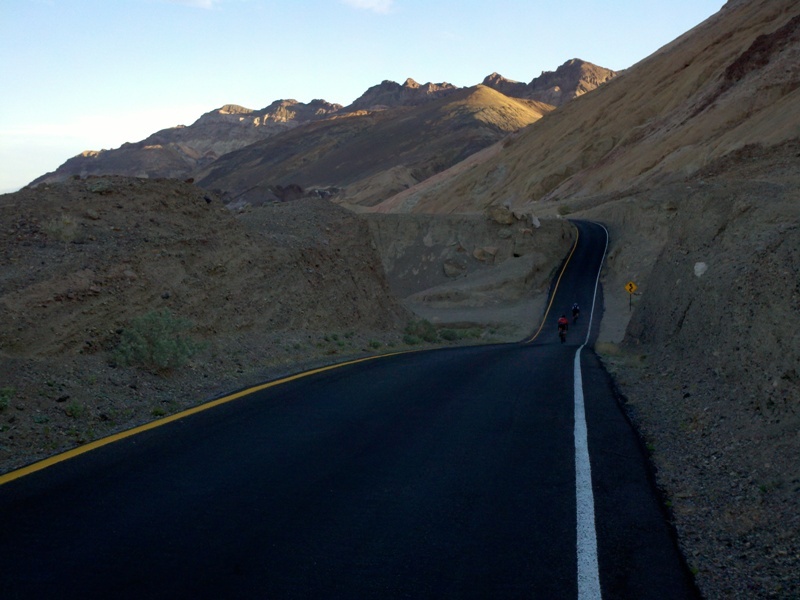 The Beatty cutoff climbs to Hell's Gate, where it merges with Daylight Pass Road, which leads all the way up to Daylight Pass (4,317 feet). 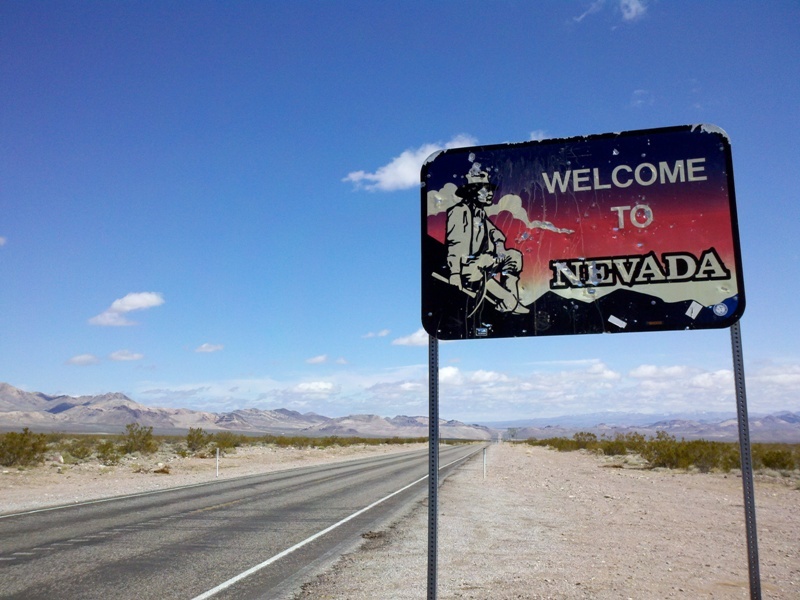 From here the course descends into Nevada and visits the ghost town of Rhyolite, the northern turnaround point. The way back is the same, including a long descent to the desert floor. Lisa joined me for a father/daughter getaway. 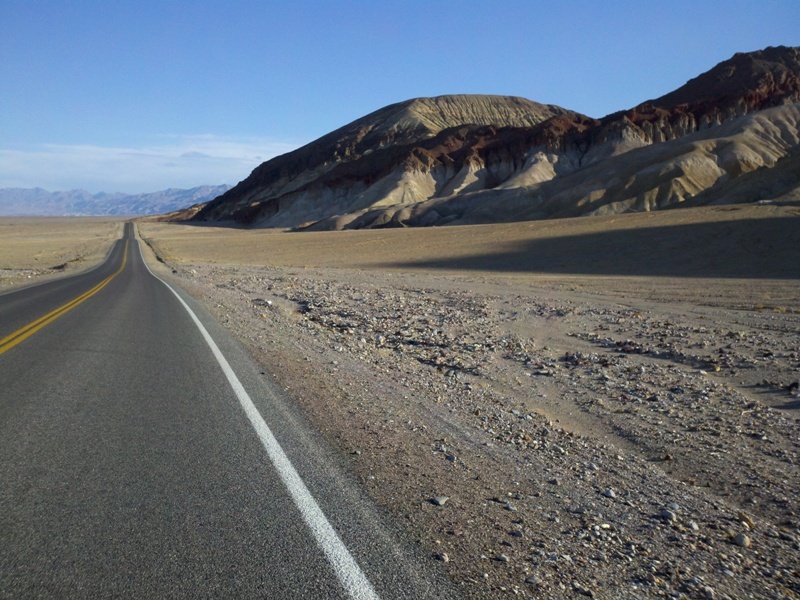 On Friday, we visited Zabriskie Point and checked out Furnace Creek. 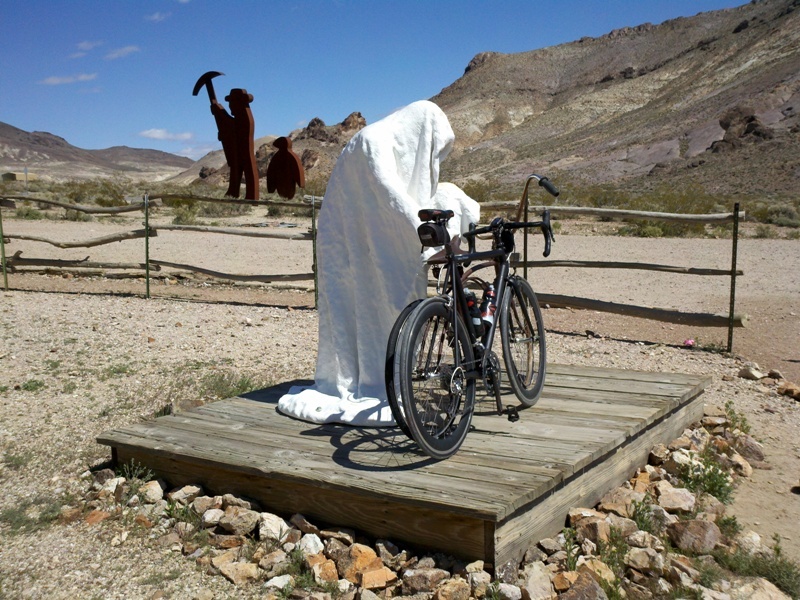 On Saturday, I rode the event and Lisa volunteered at the stop in Rhyolite. On Sunday, we visited Mesquite Flat Sand Dunes and Mosaic Canyon. We also met up with Mike and Virginia G. from Laguna Niguel, who were at the ride with their tandem.